‘Global Sustainability Solutions’ is a reservoir of sustainable solutions that integrates expertise from commercial and non-commercial organizations to bring out the collective strength to achieve a sustainable world. While it provides a pool of global experts, it’s multi-disciplinary partnerships including business organizations, non-governmental organizations, research organizations, media agencies, community groups and other organizations strengthens the movement to create a sustainable world. Our vision is to create a sustainable world. To accomplish this, our mission is integrating the expertise, experience, services and products of organisations, communities and individuals with towards creating sustainability at all levels. Currently we posses a wide range of core capabilities in a variety of fields to create sustainable futures for all, and our services include CSR, SRI, PR, Intergrated Communications, Research, Innovation, Design, Micro-Credit, Publishing, Conventions, Networking, etc. Our expertise is extended towards making ‘sustainability’ a concept which people can relate to in everyday life, organising and facilitating stakeholders forums and engagement processes, embedding sustainability in operational plans, facilitating research and policy formulation, guiding communities from poverty to sustainability, etc. Our creativity for solutions derives from the imagination, designs, innovations, strategies and collective implementation methodologies that meet the diverse needs of our clients and partners. Most importantly our compassion for society, passion for social responsibility, and commitment to environmental, economic and social – sustainable development – is our primary motivator. The key partners setting-up Global Sustainability Solutions have international experience and expertise in sustainability policy, communications, design, networking, and corporate responsibility. 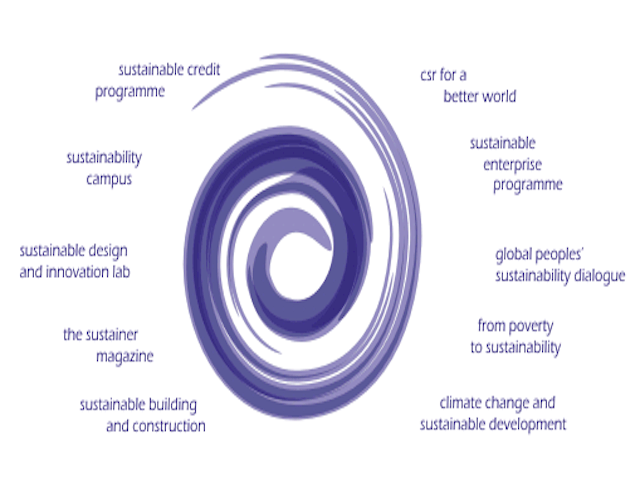 The partners draw their collective experience in sustainability and social responsibility programmes from nearly two decades and specifically at international level from the days of the Earth Summit (UNCED 1992). Centre for Environment and Development is well known internationally for its expertise on sustainable consumption and production systems, while D&D Strategic Solutions is a integrated communications solutions provider specialising in corporate social responsibility. Sri Demuni is sustainable design company that combine design and innovation for sustainable lifestyles. The aftermath of the 2004 tsunami in Sri Lanka, a new threat of poverty emerged in rural low income communities. Known to be self employed communities along the coastal belt of the island they were suddenly thrown into a state of destitution and impoverishment. The influx of international donations that flowed into these communities risked creating a state of dependency within these communities. Centre for Environment & Development (CED) created a tsunami peoples task force with stakeholder partners to intervene in and empower communities through a process of self governance under the conceptual framework of the Grama Rajaya (nation of villages). Under the scheme, a village in the southern coastal district of Galle (Madampagama) was selected to be the focus of the work. Our experience in social responsibility programmes extends from the days of the Earth Summit (UNCED 1992). The different activities brings together a network of expertise in organizations and individuals that excel in PR, communications, marketing, engineering, law, education, health, policy, governance, politics, international development, management, etc. Our project partners in delivering environmental & social responsibility projects range from United Nations Agencies, International & Bilateral Organizations, Multinational –National & Local Business, Industries, Civil Society Groups, and also Governments. Our aim is creating a better world and our strategies are based on creating sustainable futures for all. Our strength lies in our expertise, experience, networking, contacts, innovation, creativity and commitment. Most importantly our compassion for society, passion for social responsibility, and commitment to sustainable development (environmental, economic & social) is our primary motivator. Our way of achieving CSR is through building strategic alliances for better and sustainable futures.